GN Photo Art is proud to be one of the best and a very well-known Wedding Photographer London. We are based in North London and we have worked on most amazing wedding venues in the City of London and all surrounding areas. Take advantage of our wide range of wedding photography services, such as documentary wedding photography, which is our passion. 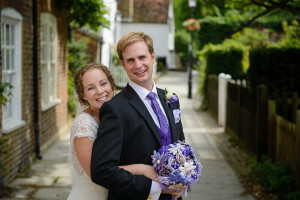 Wedding photography in London is not the only service we provide, we also offer portrait services which are a beautiful addition for any occasion and come available in a diverse range of finished styles. Whether you would like us to photograph your wedding day, your real estate, corporate head shots, or your latest family portrait, we know how to capture it perfectly. For an experienced, creative and professional photographer in London, contact us to discuss your needs today. Founders George and Nina, have been doing Wedding Photography in London together for over ten years. GN Photo Art takes pride in the work that’s produced for you and are committed to providing a premium service to all clients. Each wedding that GN Photo Art attends is carefully and creatively approached, in order to ensure that all angles of your special day is captured in high-quality. Being a Wedding Photographer London means that we appreciate and understand that your wedding day is a truly special time and we see it as an honour to be a part of it. As a married couple themselves, George and Nina know that you invest a lot of money, time and effort into your big day, which is why they are committed to capturing every beautiful moment for you to reminisce over the many years of marriage that you both share together. Quality photography that reflects the true emotion of the moment and the enormity of the day is something you will treasure for a lifetime. Being a Wedding Photographer London it’s a challenging but also very rewarding profession. Wedding photography allowed us to meet hundreds of couples on their happiest day of their lives and we made numerous friends over the years. While the wedding day itself is always a magical experience for us, the most rewarding part of wedding photography is presenting a completed collection of all the new memories you and your beloved have made, and seeing the absolute delight of the newly-weds and hearing their glowing feedback. GN Photo Art are a renowned Wedding Photographer London due to the specialist and unique documentary style of wedding photography known as wedding photojournalism. This style allows us to capture natural and candid moments throughout your wedding day. We stay close to the action, while maintaining our distance, allowing the events to unfold in a natural way. We capture a diverse collection of photos that cover not only the main events of your special day, but also all the small details and memorable moments that make it uniquely yours. ‘THIS IS HOW IT FELT’. Benefit from having the option to choose from several different wedding photography packages & prices for those in London and surrounding areas. Every London wedding is unique, which is why we personally tailor what we offer, to your exact needs and give you a variety of optional features to select. This includes everything from the number of photographers and attendance time to choosing from photo books, albums and the extremely popular photo booth. See just some of our fantastic and professionally created examples of our work in our wedding photography gallery. Also, read all the latest wedding photography information on our wedding photography blog which is also home to our documented experiences and displays of some of our Essex wedding photographer highlights. 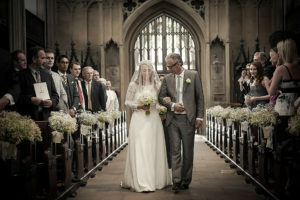 If you live in London or surround areas, you may have found GN Photo Art photographing weddings. We also regularly travel to North London, Middlesex, Milton Keynes, Hertfordshire, Oxfordshire, Kent, Surrey, Essex and Hertfordshire, with the occasional privilege of being able to cover weddings and events further afield in England. Choose from one of our wedding photography packages or talk to us today to discuss a personalised wedding photography package, created just for you. Be sure to get in touch and we will be happy to consider traveling to your location. You can contact us by telephone on 07411 628 737, via email, or by filling out our quick and simple online contact form.